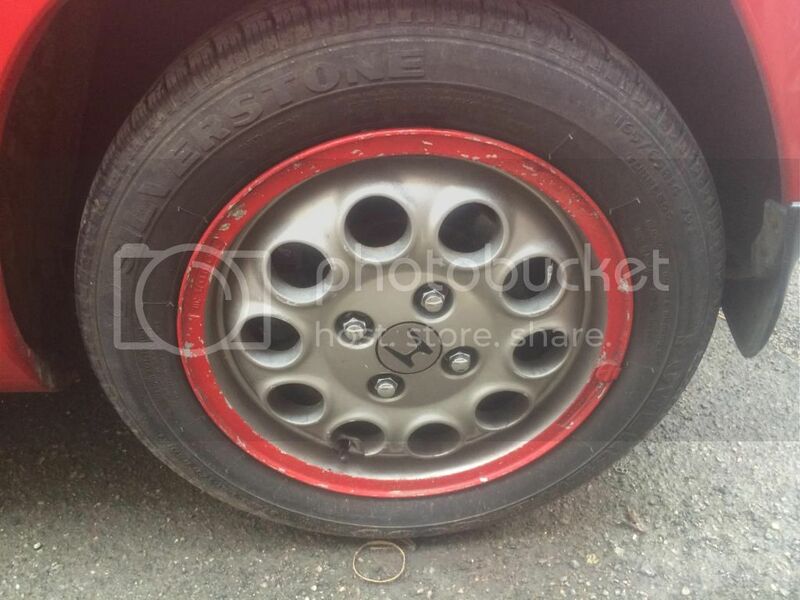 14/13" OEM beat wheels, all tyres have good tread, wheels aren't in too bad condition, no gouges or deep scratches etc. 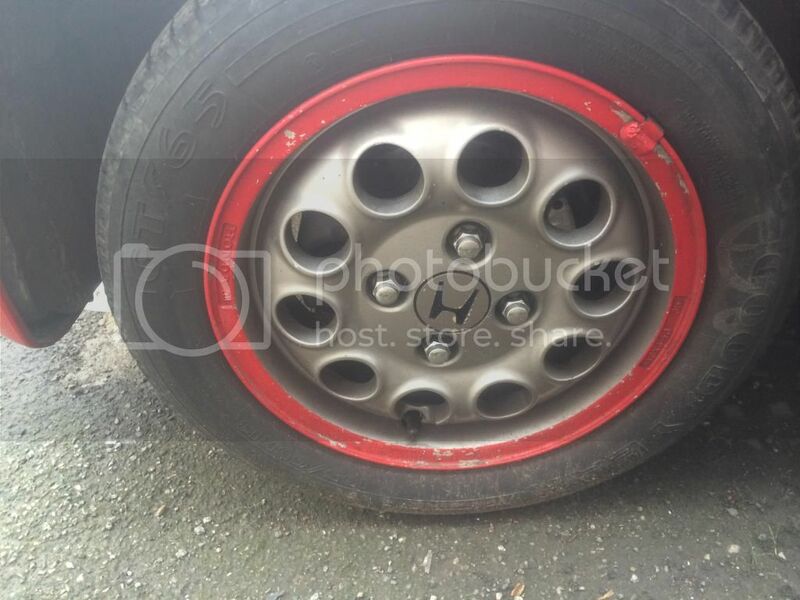 BTW Those rear tyres are actually not the correct original size for a Beat. 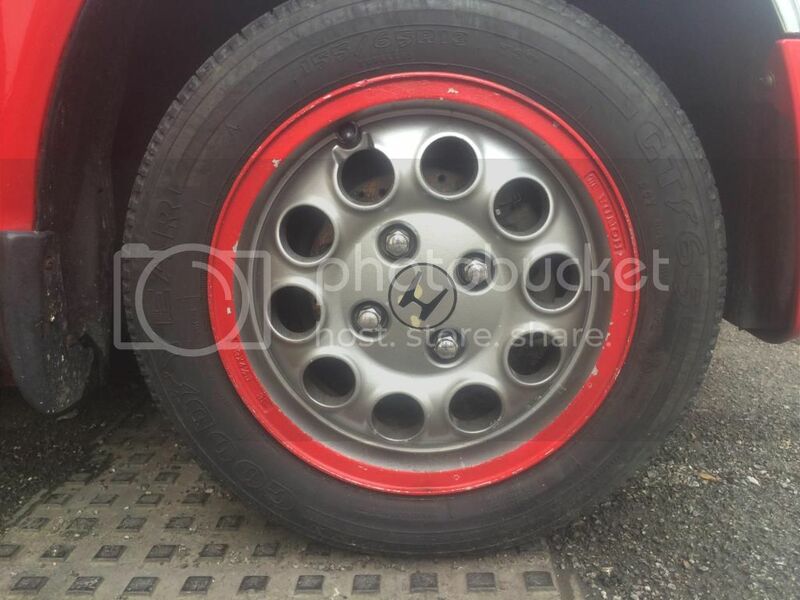 165/60 R14 is correct size.